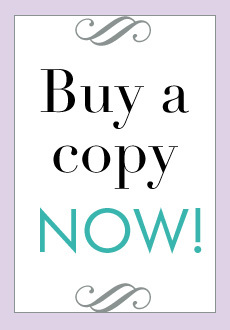 There are 5 different ways to buy Your Sussex Wedding magazine. To order the latest copy of Your Sussex Wedding magazine or to obtain back issues, click here. You can subscribe for just £17.60! Sign up for a year's subscription and not only will you save money on the cover price, you'll also receive a Chelsea Peers NYC dressing gown and eye mask set, worth £40*. Fed up with boring, stuffy loungewear? The masterminds behind Chelsea Peers NYC have created a playful, vibrant and innovative sleepwear brand believing it holds the winning formula for the perfect lazyday look. Combining comfy fabrics and inspiration from across the globe, each collection is based on trends the company loves with a quirky design twist on them. We're delighted to team up with Chelsea Peers NYC to offer our readers this purple dressing gown and eye mask set. This super-soft and cosy combo features a “Do Nothing Club” sequin slogan on the back of the gown and across the silk-lined eye mask. *Subject to availability. Available in sizes XS-XL, please contact our subscriptions department to state your size. 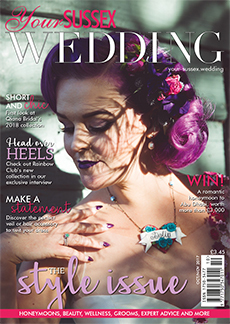 Your Sussex Wedding magazine is available from newsagents and supermarkets. However, if you do have problems, or if your newsagents has sold out, then call us! For non-UK customers, please email admin@county.wedding for full details.